Kalapana Tropicals Inc. is a certified Hawaiian orchid nursery located on the Big Island of Hawaii since 1987. We are orchid horticulturists who specialize in growing a huge array of orchid genus and varieties for export as live, blooming orchid plants. Buy potted blooming orchids online. 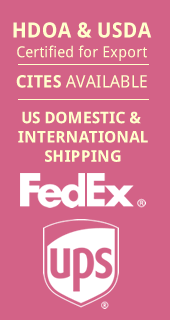 We ship to US & select International destinations! For businesses only. U.S., Puerto Rico & International shipping. We ship live orchids worldwide to wholesalers, garden centers, florists and orchid societies. Request wholesale access to shop our selection of flowering orchid plants. © 2016 Kalapana Tropicals. Site by Curly Pinky Designs and Kilauea WebWorks.